The Jamyang Foundation supports innovative educational projects for women who live in isolated regions of the Himalayas, far from any cities. Like the monastic latin schools in the West, the local monasteries only take male students to teach them to read and write. The few existing nunneries therefore, need to be able to provide a course of studies which offer an opportunity for poor women in the Himalayas to develop their potential and widen their horizon in accordance with their cultural environment. With this objective, the Jamyang Foundation currently supports six study programmes in the following nunneries: three in Zanskar (Ladakh), two in Spiti (Himachal Pradesh) and the most recent one in Kinnaur (Himachal Pradesh). 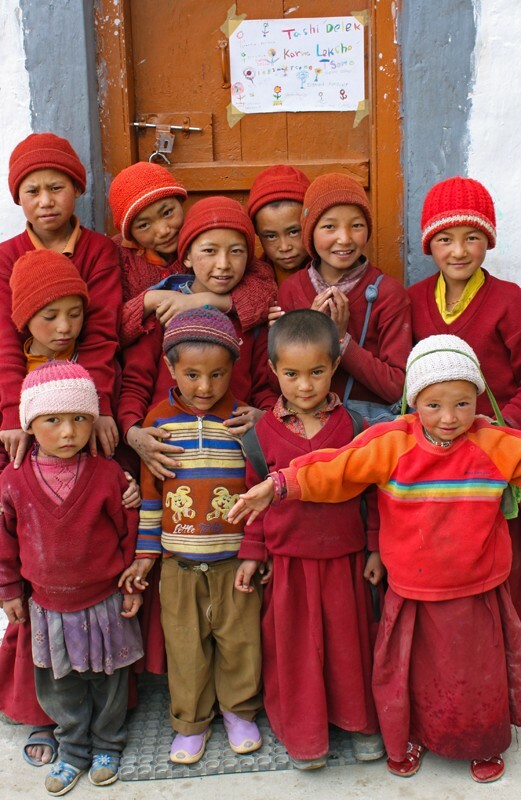 115 students, aged between 9 and 72, are from remote areas of the Himalayas. These girls and women have little, if any schooling. The reason for this is obvious: girls are not sent to school but kept at home for domestic work until marriage. Moreover, the languages spoken in village schools is Hindi or Urdu, foreign languages to them. As their background is Tibetan-Buddhist, the only possibility left is an education in a nunnery.